What if I told you that the marketing effort for your business can be put on a system? Then what if I said that you could learn that marketing system and have it installed into your business to assure that your marketing is constantly evolving with your product and revenue stream? In a brick, ivy covered building in Kansas City, a man and his daughters work to bring businesses several layers of this system to business through a network of consultants. The program is called Duct Tape Marketing. John Jantsch is the man with the practices, ideas and theories and his daughters Sara and Jenna (assisted by two Labrador retrievers that mostly nap on a leather coach) help organize it into constantly change growing set of systems. Jantsch named his original system and consequently the name of his company Duct Tape Marketing. He has since added systems named Total Online Presence and Referral Engine Pro. The first is designed to give businesses and a plan to increase their online efforts and the latter coincides with Jantsch’s book The Referral Engine. He also has a book titled The Commitment Engine that addresses the skills and methods needed to keep customers committed to your business for life. 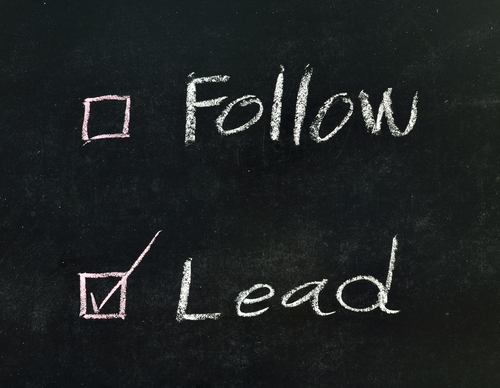 In this episode of Lead or Be Led, John Jantsch takes a deeper dive to explain two graphics. The first is the Duct Tape Marketing Catalyst system and the Second is the Total Online Presence system. Many business owners already have systems installed in their company maintains Jantsch. They have systems for accounting, systems for manufacturing and systems for human resources. Jantsch created a marketing system that any business person can put in place as long as they stay committed. The thing that makes John Jantsch’s Duct Tape Marketing so smart and practical is that many businesses and business people (non-profits as well) do so many things so well, but marketing tends to be low on the list. Duct Tape Marketing makes it all possible. You can put the Duct Tape Marketing practice into place by simply reading Jantsch’s books. When you are ready to commit to a marketing effort and you are ready to get noticed for your area of expertise, you move on to be instructed by one of Duct Tape Marketing’s consultants. One resource that Jantsch and the consultant network offer to get started is the Signature Brand Audit. Duct Tape Marketing takes a hard look at where you are with your marketing program today to make decisions for tomorrow. “Strategy before tactics.” Is a phrase John Jantsch uses often. He offers the Signature Brand Audit to see where you are to help form a plan for the future. As you will see in our interview, the Duct Tape Marketing system uses strategy at its core. Enjoy this second part of my interview with Duct Tape Marketing’s John Jantsch. Where is your marketing effort now? Where would you like it to go? Please comment below. Full Disclosure is that I believed in John’s system so much, that I have become a Duct Tape Marketing Consultant and I can help you complete your ultimate marketing plan. I have been trained by John so that you receive one-on-one attention from a marketing pro that can help you craft a powerful marketing plan, hold you accountable for completing each step, and then show you how to implement the plan to grow your business.